Hopi House allows the visitor to peek into our Native American past and at the same time provides excellent gifts and souvenirs of the handicrafts of the Hopi Indians. What can I see and do at Hopi House? Cultural Site: The Hopi House was created as a living museum, one where the Hopi Indians could make and sell their crafts. 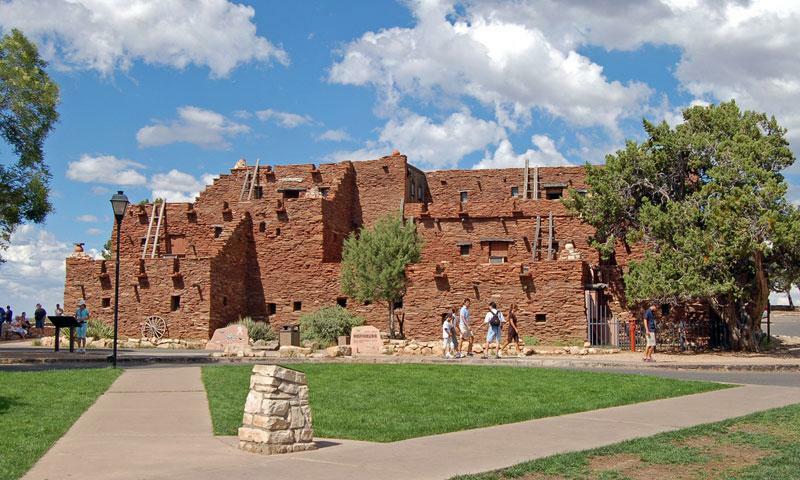 Built on the design of a Hopi dwelling in Oraibi, Arizona, this historical landmark is definitely worth a visit. Shopping: The Hopi House was the first gift store in the Grand Canyon. You can purchase lovely Native American arts and crafts, everything from authentic pottery and jewelry to Navajo rugs and postcards and books. Train Ride: You are so close to the train depot, you should take advantage of the opportunity to take a train ride to Williams, Arizona and back. 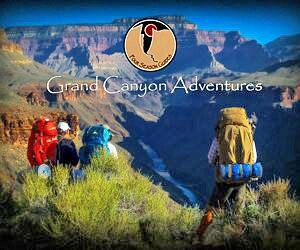 You’ll see marvelous landscapes, and can take part in all the fun activities happening on the Grand Canyon Railway. Hopi House Grand Canyon is located close to the El Tovar Hotel in Grand Canyon Village. Get on the Village Loop through the Village and you will see the Grand Canyon Railway depot ahead. Drive right up the hill and turn right into Hopi House parking lot. When is Hopi House open? The Grand Canyon Hopi House is open in summer from 8 am to 8 pm and in winter from 9 am to 5 pm. How much does Hopi House cost? There are no fees to visit Hopi House. 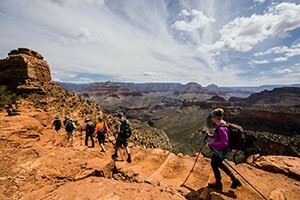 If you have more questions, you can call the Grand Canyon information telephone at (928) 638-7888.